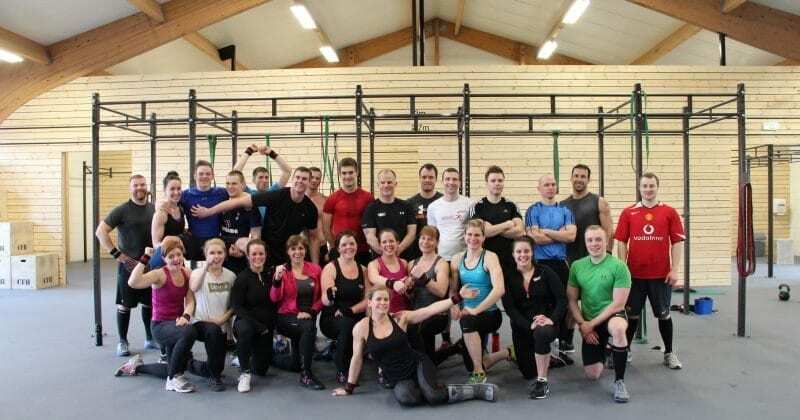 Helga Guðmundsdóttir, the box-owner of CrossFit Hafnarfjörður, is giving us a little insight into what happens at her BOX! Enjoy another episode of our Europewide BOX interviews. I started a beginners class after giving birth to my 3rd baby in September 2010. I was very excited to start, my son was 3 months old. I didn’t open it, I bought it a year after training there. The previous owner wanted out so I took over. I wasn’t working anyway, staying home with my kids. So it was the perfect job for me. Just finished Level 1 so I was ready. We have a very nice atmosphere here in our gym, a lot of fun and everybody loves hanging out here. Great friendships have been made here. Also the Icelandic champion, Jakob Magnússon all this year is head coach here. We have around 100-150 members. Kids from 5 years old, teens and grownups up to 65 years old. Probably we have more men than women. Yes, we talk about Paleo and Zone and try to guide them in the right direction. You would do a 3 week course, 3x a week, Mondays, Wednesdays and Fridays. After that you will have a whole month to train in the advanced classes. Yes, we have had a competition 1-2x a year, and many people do the OPEN each year for the regionals. And then there are national competitions that all Icelandic boxes join, and those are getting very popular. We have connection to most of the boxes in Iceland. Iceland is a very small country and we are all starting to know one another. It is like a one big family. We are all happy to lend out gear for competitions or events. So it´s a community and all boxes are connected somehow. Yes, every first time is free, and after that a drop in fee is 2000kr. I’m the one to contact.